Mahorka (Bulgaria) has been around for nearly 15 years, is one of the pioneers on the netlabel scene and one of the very few that stayed around, kept going through the years of the boom of netlabels and after that, through the rise of different platforms that allow the direct publishing and presenting of releases, with wich few of the sea of netlabels made it - the ones that have become sort of institutions in their respective fields and only a few new ones (netlabels) surfaced. Starting innitially with presenting experimental electronic and electroacoustic music, developing big love for ambient music, making things really bigger with the "Music for elevators" compilation series, presenting different artists', from throughout the musical spectrum, approaches to ambient music, the netlabel has never actually developed any genre/style boundaries/limits.. in fact - exactly the opposite. 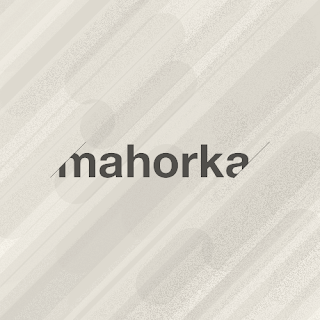 Mahorka has always been about crossing them boundaries, melding, mixing and reinventing styles, utilizing some genre's typical "technical" or compositional approaches in new, not typical cotexts and, of course, improvisation on all levels. The netlabel has cheered and released such artists and projects that others were reluctant to put out and also pushed well-known and established artists to experiment with their sounds and approaches in absolutely new ways. So, while there is no focus on specific style/genre and there is everything from acapella experiments and folk music through electronica, rock suites, free jazz, hiphop, techno and experimental pop, to ambient, noise and cut-up recontextualizations, this does not mean that there is just random music thrown in randomly in the hat..the hat and common denominator that the music just fits under is (to be caught with some following of the netlabel's releases through the years)... "Mahorka". And this very situation in which we can't find exact words/terms to describe the label's "orientation" or even most of the releases' genres, this "Mahorka" approach is what made the label a botique special place, that made sense for more than decade, just like other labels stayed strong because they focused on presenting very specific music genres they became known of, associated with. Another special thing about Mahorka is collaboration - from the conceptual compilation series, through the "Mahorka remixed" albums where some artist takes recordings from throughout the catalogue and reworks them through their prism, the remixed EPs/albums for certain projects or just the addition of reworks from other artists, to facillitating unexpected collaborations that could not have happened otherwise. Recent examples are the "One of these tributes" compilation from 2015, a Pink Floyd tribute ine,the Mahorka way (e.g. not just one of these tributes) and the "Kept you safe" release with which Mahorka participated in the first Netlabel Day (2015), an album of reworked and exclusive tracks from the band Fire to the Stars. Mahorka is managed by Ivo Petrov.